It's out of this world Pops! 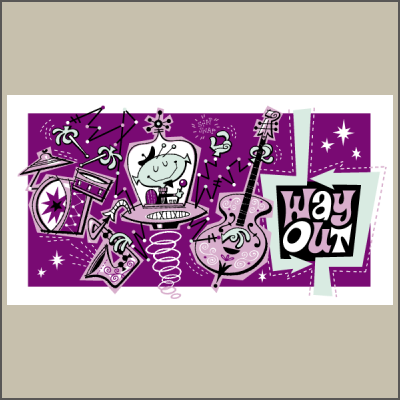 Dig on this jazzy way out beat by our own Derek Yaniger featuring crazy Glow-in-the-Dark Ink! This four color silk screened serigraph is printed on heavyweight French paper and measures 13" x 23½" all signed and numbered by the artist in a limited edition of 125.